At BE Collective we are always on the lookout for quicker, safer and more sustainable products and techniques. In fact we are so committed to innovation and sustainability we will even travel interstate to investigate! With this mindset, we recently sent two team members of our Brisbane head office down to Sydney for an inspection of Viega’s products and production process. 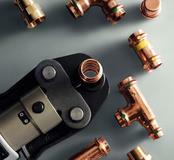 Viega offer a range of hydraulic fittings and products, and the one that caught our eye was the Viega Propress. 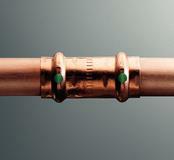 The Propress is a system of connecting copper piping, and is applicable for both gas and water installations. Propress differs from the traditional brazing method of connecting copper piping and offers a faster and safer alternative in the form of their patented Smart Connect Feature, which can be undertaken quickly with one hand and no boiling metal! 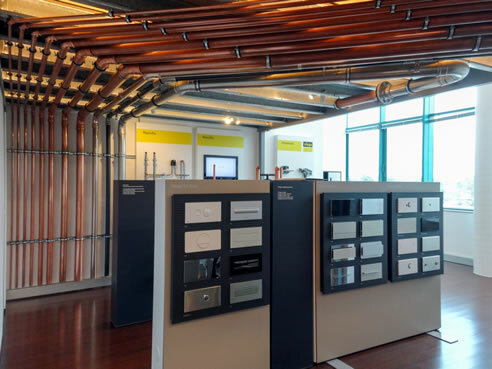 Quality Assurance means a lot to us, so we were pleased to find that Viega operates a “Six Sigma” level manufacturing plant which means they must average less than 3.4 defects per million (in fact, Viega averages less than 1dpm). It was great to meet some members of the Viega team, and share some relevant industry innovation ideas.